Frogbeats are an evolving collective of DJs, artists and designers, gathered by a passion for the underground sound of dance music that epitomised the 1990s. Founded in 2011 by Russell McMahon and James Harrison, who met while studying in Glasgow, with their trailblazing ‘Unleash the Beast’ nights at the Sub Club, the collective have held residencies in venues across the city, instilling the drum & bass and jungle sound they are best known for firmly in the panoramic of Glasgow nightlife. The on-going “project” aims to provide a platform for local artists who share the same DIY ethos and ear for music. On the journey through Glasgow’s music scene, the Frogbeats team has worked with numerous styles and collaborators. Scantily Clad ran from 2012 to 2014 combining the feel-good rhythms of jazz and swing and modern electro stylings. The night was booked out by Cabaret Voltaire for the opening night of The Fringe Festival in 2014. It crossed the divide of DJ-only club nights to include the likes of burlesque dancers and fire hoopers. A collaboration with hip-hop handymen Handpicked, also based in Glasgow, brought together the bass-happy sounds of classic hip-hop and cutting edge drum and bass. Running from 2015 to 2017, the nights attracted huge crowds to the Art School. In 2018, the Frogbeats and Keep it Rolling teams have forged an explosive collaboration of bass-heavy tunes and audience-heavy nights in Broadcast, Flat 0/1, Sub Club with more nights in the pipeline. Getting out of the city, Frogbeats traverse the terrain of Scotland’s festival fields. 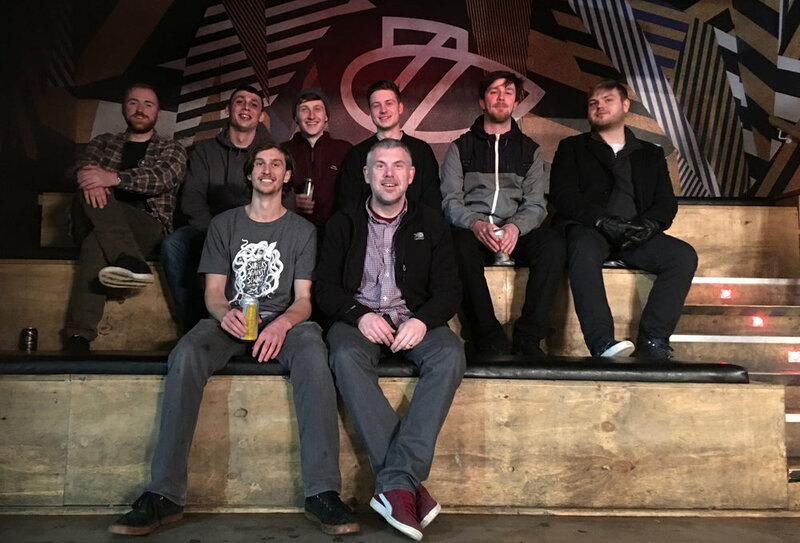 Regulars at Audio Soup, Kelburn Garden Party and Deoch an Dorus festivals, the DJ collective play out sets from jungle to funk to rare groove. Frogbeats is an open house for new creative ideas which they cultivate and develop. They have brought live graffiti and a jumbo-Roland 303 into the club environment, all the while supporting the varied artistic talents of their constituent members. These talents span from screenprinting to video-making, establishing their reputation as a diverse and ever-evolving collective. The 8-strong collective continue to tour and put on parties in 2019, determined to carry forward the style that became so prominent in the 1990s.